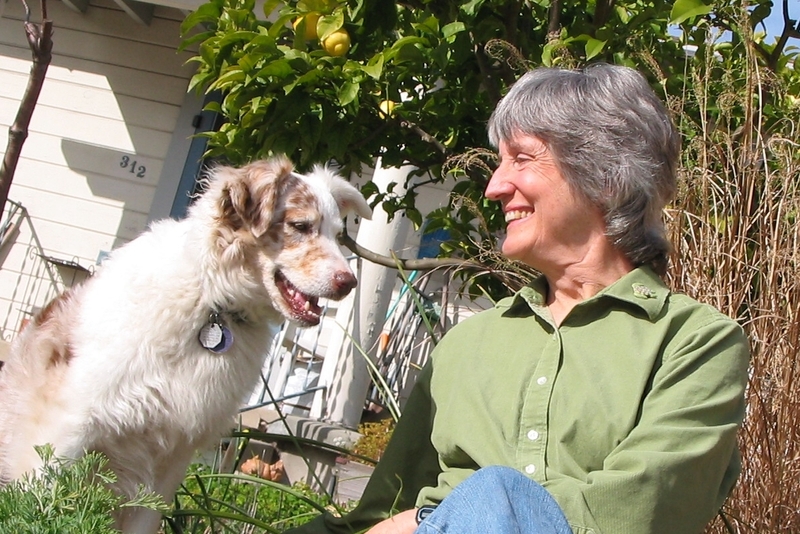 Donna Haraway is a retired professor in the History of Consciousness Department at the University of California at Santa Cruz, where she teaches feminist theory and science studies. She is also an affiliated faculty member in the Women’s Studies, Anthropology and Environmental Studies Departments at UCSC. Dr. Haraway is the author of Crystals, Fabrics and Fields: Metaphors of Organicism in Twentieth-Century Developmental Biology (Yale University Press, 1976), Primate Visions: Gender, Race, and Nature in the World of Modern Science (Routledge, 1989; Verso,1992), Simians, Cyborgs, and Women: The Reinvention of Nature (Routledge,1991; Free Association Books, 1991) and Modest_Witness @Second_Millennium. FemaleMan(c) Meets OncoMouse (New York and London: Routledge, 1997). Haraway was born in Denver in 1944 and attended Catholic schools. With the aid of a Boettcher Foundation scholarship, she majored in zoology and philosophy at The Colorado College and also fulfilled the requirements for an English major. She graduated in 1966, studied philosophies of evolution in Paris for a year on a Fulbright and then went to the Biology Department at Yale, where she earned a Ph.D. in 1972 for an interdisciplinary dissertation on the functions of metaphor in shaping research in developmental biology in the twentieth century. She has taught at the University of Hawaii and The Johns Hopkins University and has been at UCSC since 1980. See also, Haraway’s vita from UC Santa Cruz. I have admired Donna Haraway’s work for many years. She has influenced my own thinking and my own scholarly perspective. I believe that many theorists misunderstand her writing and overemphasize the “chrome” (Stallabras 1993) of her cyborg metaphor while minimizing the significance of race, power relations, political economy, and “nature,” the environment, or the biological. In other words, people fetishize the cyborg, turning it into what Haraway calls a “blissed-out, techno-sublime euphoria.” They overlook the most significant argument she makes about the cyborg’s promise to help us reinvent politics. Despite my belief, I am also fascinated with the chrome, especially given my interest in cyberculture and the internet. With that said, this cluster of pages is an “Ode to Donna.” Included here are a bibliography of Haraway’s work, a page of links to Haraway resources, and a page devoted to Lynn Randolph, the artist who illustrates Haraway’s work. When I first began this project, it was a huge task even in 1996 at the “dawn” of the net era. Eventually, though, the maintenance became impossible. Now, these pages are hopelessly out of date, and will be stale forever. Cyberstudies, which some folks even call cyborg anthropology, have exploded, and interest in Haraway has matched that explosion. And so, like everything that goes up on the net today, this page is long decayed. Let’s just say now that those bits of information are happily swirling in the ether along with Ada Lovelace’s spirit. 1. Donna Haraway made a video with Paper Tiger TV in 1987. How does the “cultured” gorilla, i.e. Koko, come to represent universal man? Author and culture critic Donna Haraway untangles the web of meanings, tracing “what gets to count as nature, for whom and when, and how much it costs to produce nature at a particular moment in history for a particular group of people.” A feminist journey through the anthropological junglescape. Haraway is the author of Simians, Cyborgs and Women. “I don’t know this rule. I wonder if it’s one of those psychological discoveries, like why telephone numbers have only seven digits (well, used to).